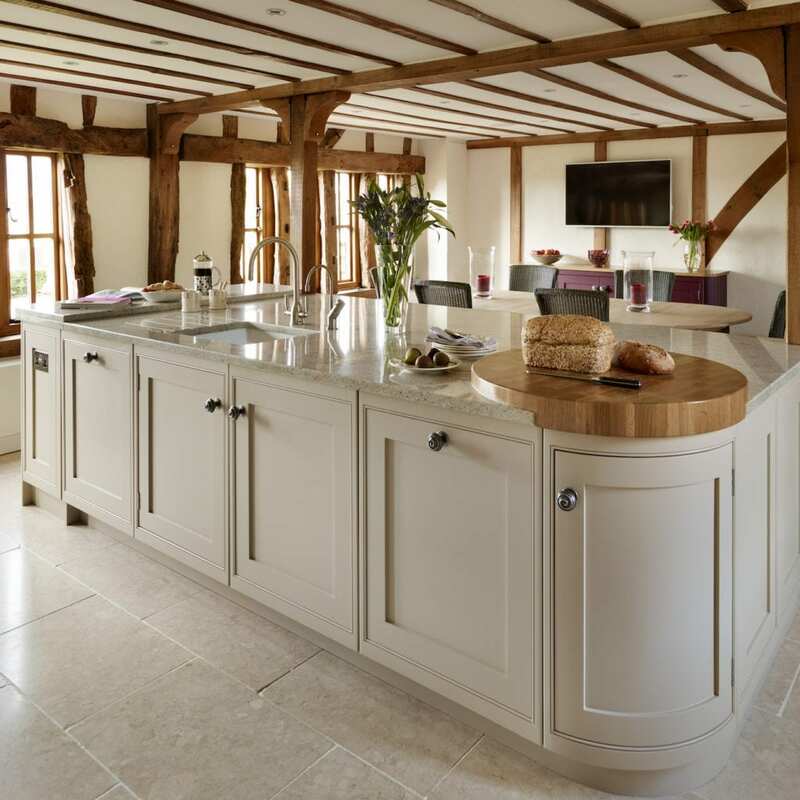 After years of undertaking barn renovation projects, Annabelle and Alan finally made time to concentrate on installing a beautiful bespoke new kitchen at the heart of their own characterful barn conversion property. 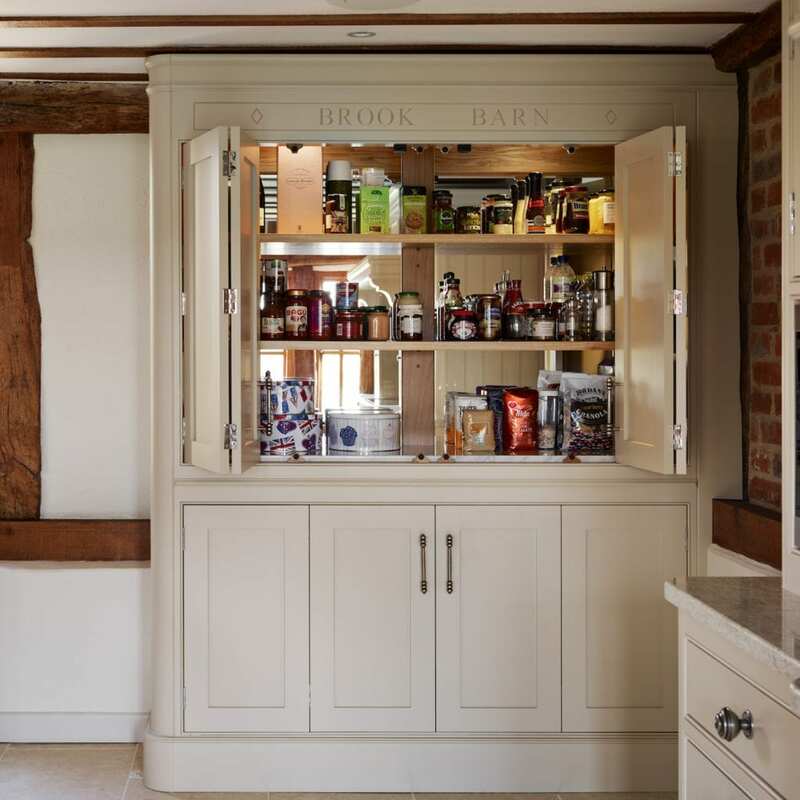 The couple wanted a spacious scheme that would comfortably accommodate their three grown-up children and extended family members when they came to visit. The heritage of the building lent itself to the classic Tillingham collection. 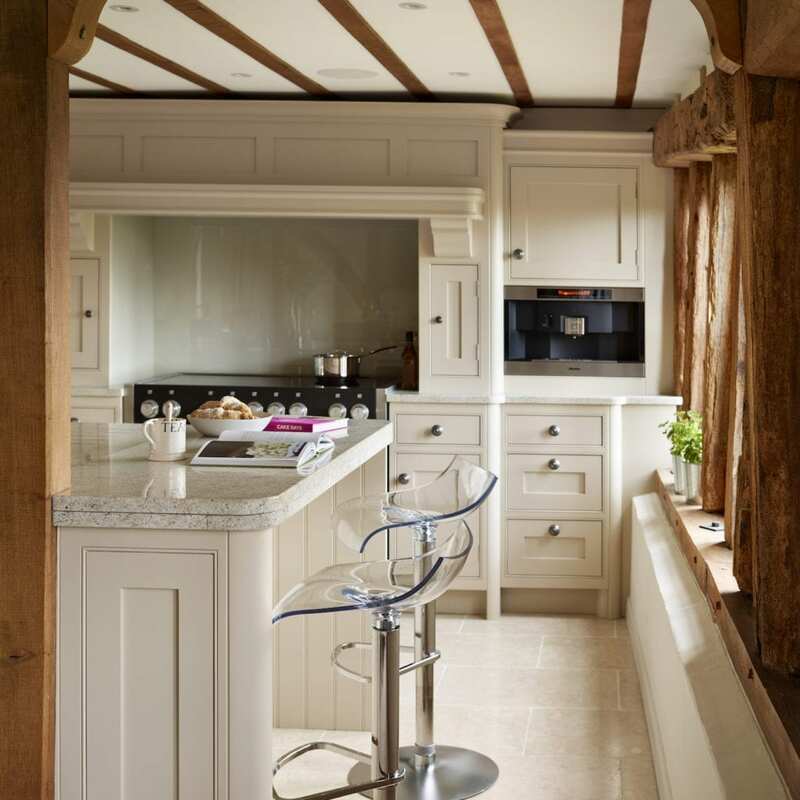 As the property is a listed building, the design team worked around planning restrictions, reconfiguring the ground floor to incorporate an open-plan kitchen-diner with a statement island dividing the two zones, while keeping all original beams and pillars. 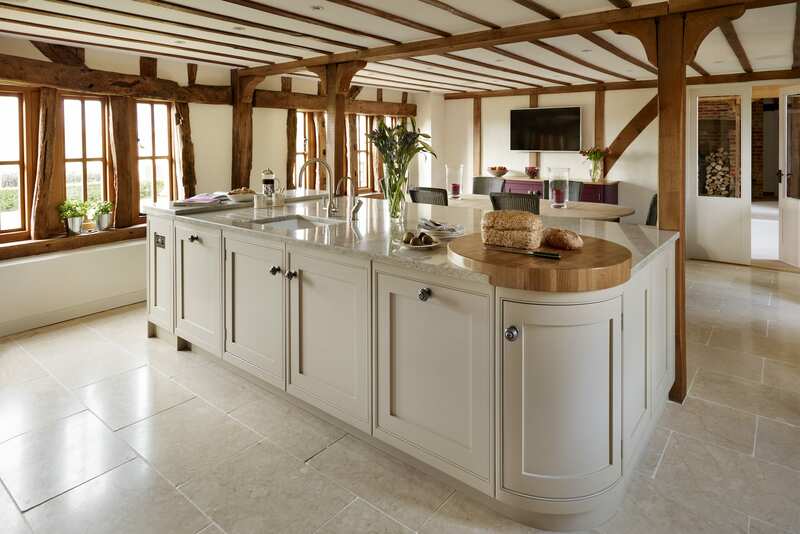 The basis of Annabelle and Alan’s whole scheme revolved around maintaining an overall traditional look in keeping with the barn’s feel, but incorporating modern, built-in appliances and a large island and dining area. 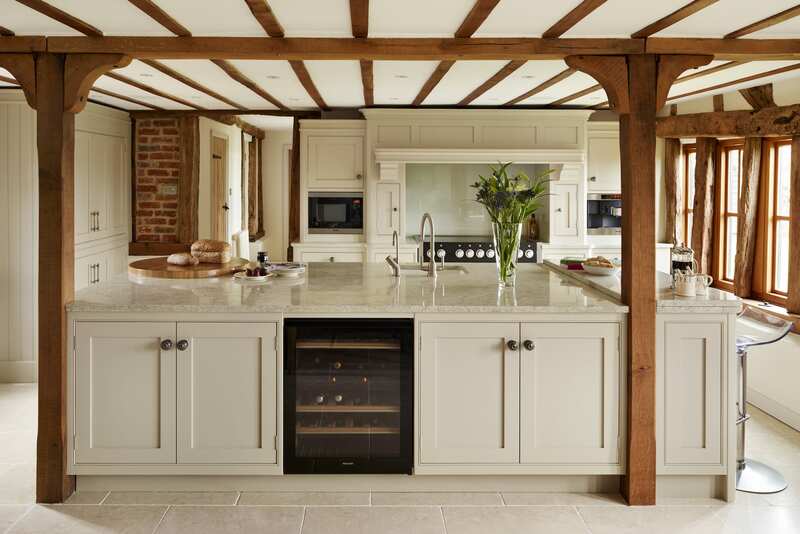 Core to the overall project was maintaining a traditional feel whilst incorporating modern appliances. With this in mind, the Davonport designers seamlessly incorporated Annabelle’s modern appliance ‘wish-list’ into the design. Selected almost exclusively from Miele, appliances included; a built-in combi microwave and built-under larder fridge, integrated slimline dishwasher, built-under wine cooler and Nespresso coffee machine. 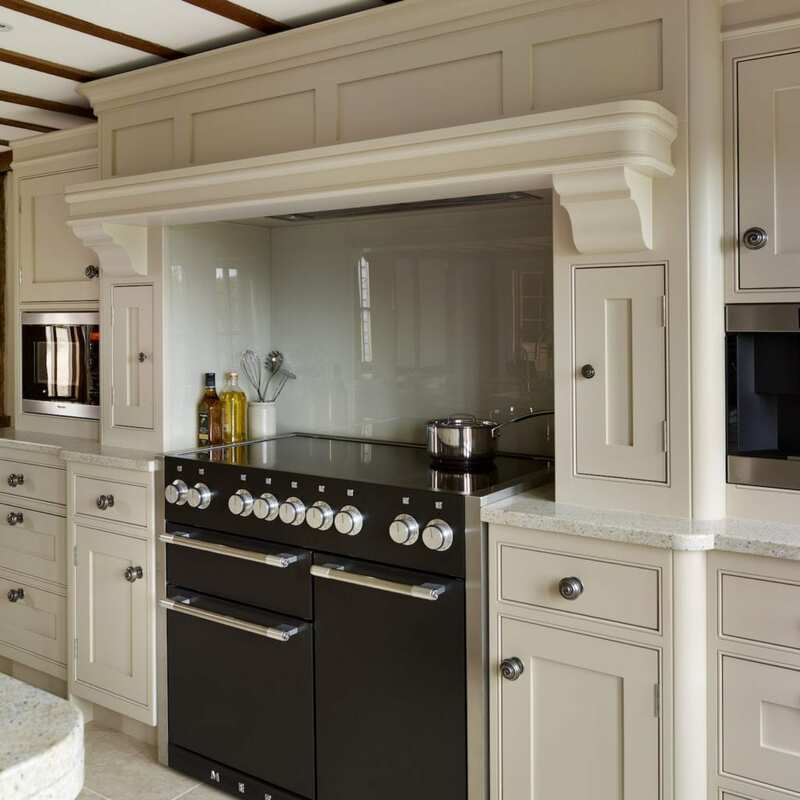 An original inglenook fireplace was also removed to create space to house an elegant Mercury range cooker with beautiful bespoke surround unit. 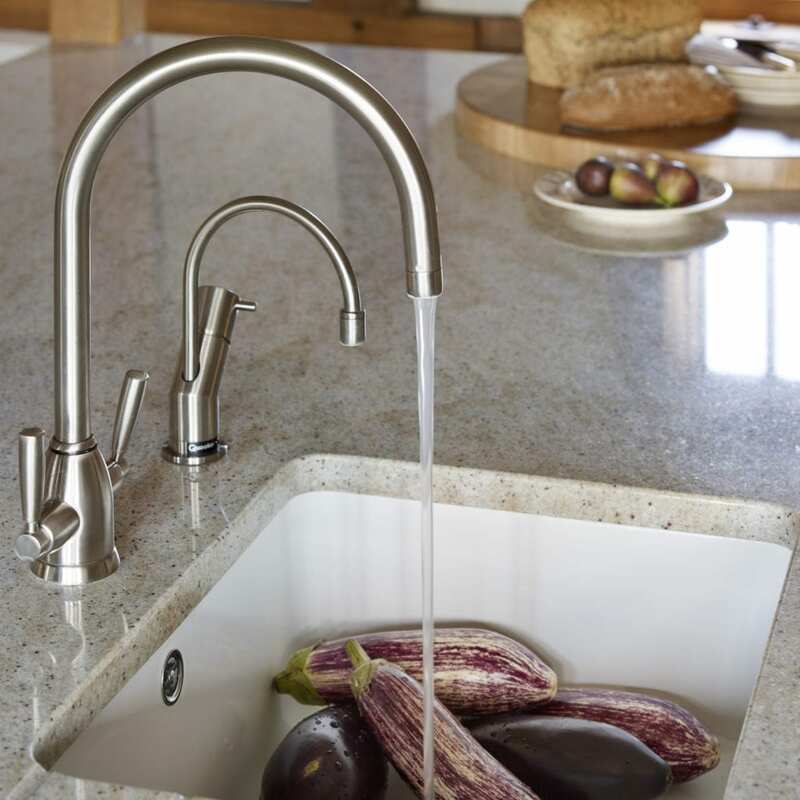 Last but certainly not least, a clever boiling water tap from Quooker completed the design. With the design finalised, Annabelle and Alan selected which finishing materials to use. 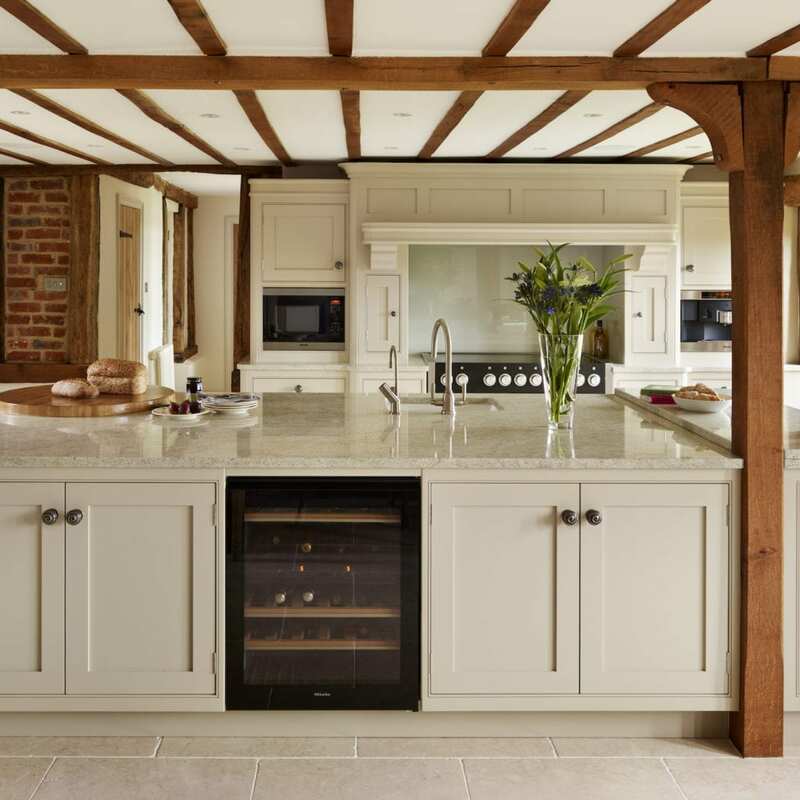 Guided by Davonport’s designer and painter, they opted for cream painted cabinetry in ‘Stony Ground’ eggshell from Farrow & Ball, and Kashmir White granite worktops to complement the existing pale porcelain floor tiles. By using a light painted finish, they created a fresh, up-to-date look that helped brighten the room. 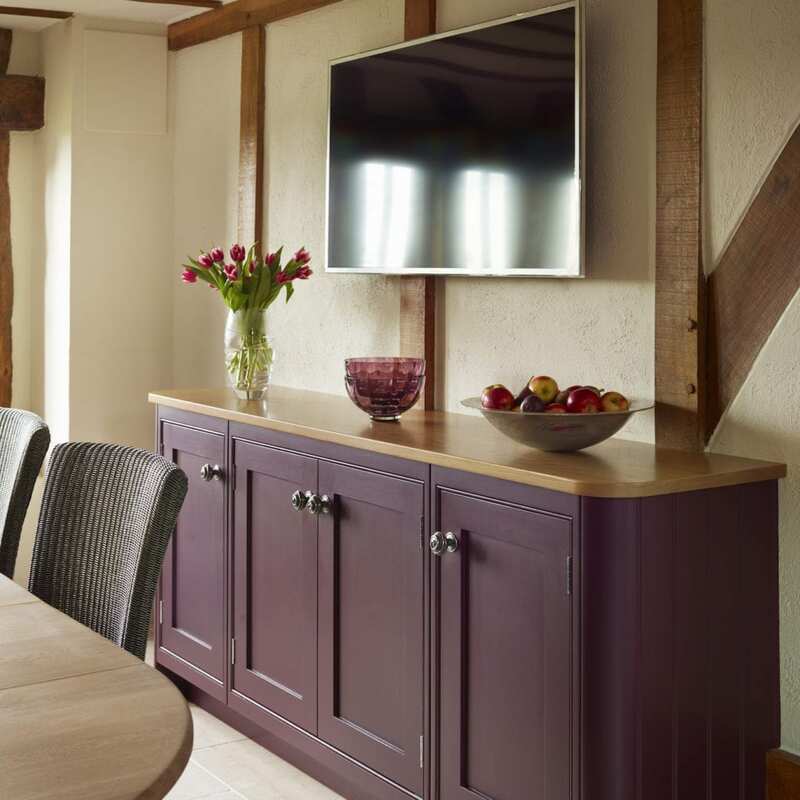 The introduction of a deep plum shade on the media unit, (helping to differentiate the dining area from the rest of the room), added an interesting touch to the room and broke up the look a little.